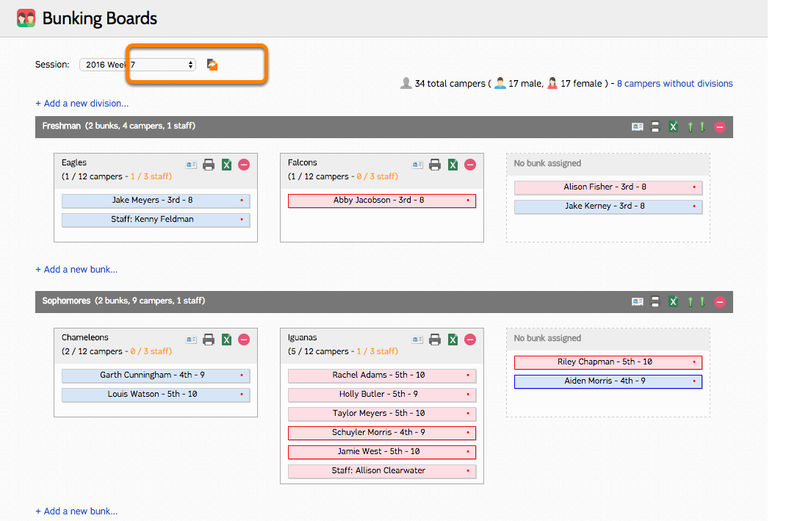 To copy divisions and bunks from one session to the next, complete the following steps. Click the icon next to the Session to copy the Divisions and Bunks. Select the session you would like to copy the Bunking Board to. 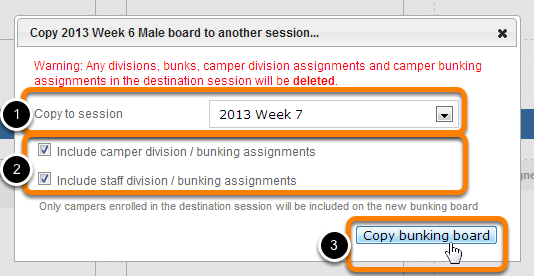 Copying Bunking Boards will overwrite any bunking boards and assignments in the destination session. Including camper or staff assignments will copy any mufti-session campers enrolled, or staff hired, for both the original session and the destination session. The Bunking Board has been successfully copied to the destination session. Continue copying the Bunking Board to additional sessions as needed.